Hate the ringing in your ears after a night out or the day after a music festival? Introducing a durable & cost-effective solution for safe, frequent enjoyment of your favourite music events. Premium high-fidelity earplugs which allow ease of conversation with others, deep basslines & clear high-frequencies. Individually sealed blister packs as pairs. 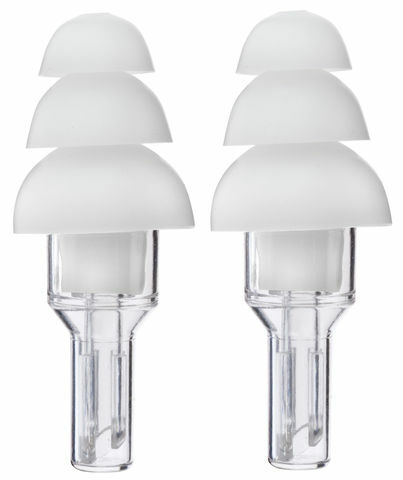 Silicone eartip for optimum comfort, perfect for frequent use & longer events. 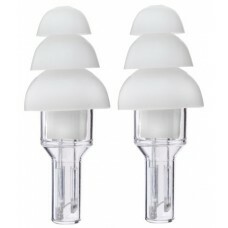 Clear colour offers the most discreet earplugs available. 5-part construction allows for great noise level reduction, without compromising on sound quality. Suitable for frequent users, with regular cleaning, for upto 6 months. Affordable investment to protect hearing of frequent users. ETY•Plugs® are the world’s highest fidelity non-custom earplugs. They reduce most noise to safe levels while preserving the clarity of speech and the richness of music. ETY•Plugs are configured to replicate the natural response of the ear canal so that when sound enters the earplug, it is reproduced unchanged, exactly the same as the ear would hear it, only quieter. Regular use of these high-fidelity earplugs while practicing, performing and listening to music will protect hearing from the cumulative effects of overexposure to loud sound throughout life. A little time may be required to acclimate to these earplugs. Many musicians report that they hear their own instruments better, as well as the balance with those around them. 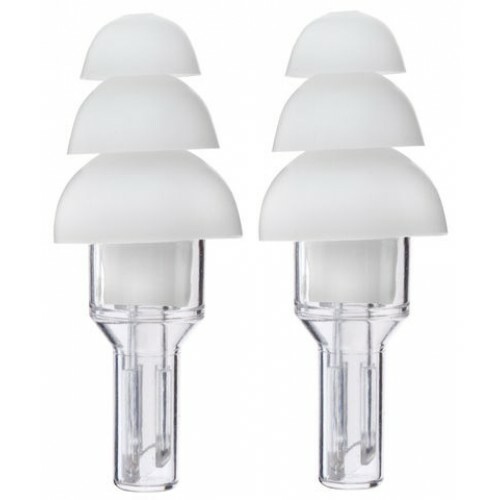 ETY•Plugs are reusable, but with repeated use, the eartips may lose elasticity. 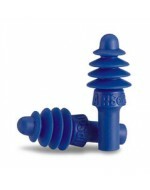 For best performance and retention, if you use your ETY•Plugs constantly, consider replacing them every 3-6 months. ETY•Plugs use a tuned resonator and acoustic resistor to replicate the natural response of the ear canal. This unique construction, combined with Etymotic’s proprietary sound path, reduces sound levels evenly across the frequency range without changing the sound quality. Result: Music and speech remain clear, but quieter and safer. Insert the plug by grasping the end cap and inserting the eartip until the largest flange is sealed in the ear canal entrance. To ease insertion, moisten the plug and pull the ear outward and upward. Earplugs must be inserted correctly for optimal effectiveness. Remove with a slow twisting motion. Do not take earplugs apart. Wipe clean with a damp cloth as needed. Do not immerse earplugs in water. Do not clean with harsh chemicals. 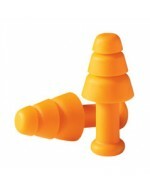 * FREE POSTAGE for 3 or more pairs of earplugs! * $7 for 1-3 pairs or earplugs. Indytix.com.au has one purpose: to bring you and your friends closer to the events you love. Join the party today and enjoy exclusive deals, industry tickets with FREE registered postage or collection for all WA tickets & express 256-bit secured checkout with 5 convenient payment options. Be rewarded with our loyalty program for being savvy music fan & share the good times with your friends by becoming an affiliate - it's free and easy.